Have great fun with your best friend this Winter. 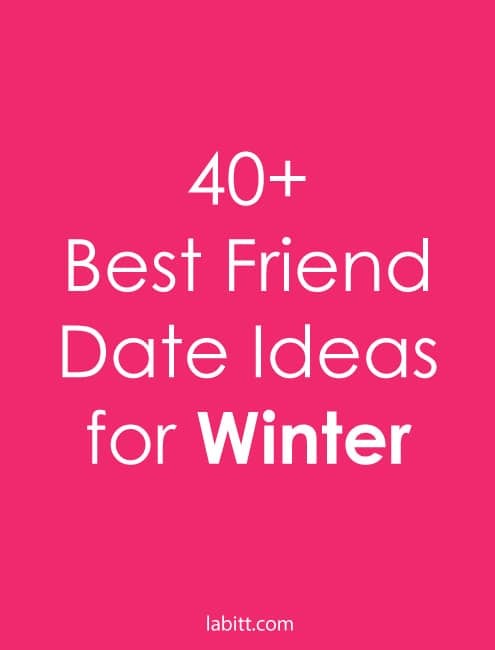 In this blog post, you will find more than 40 super fun Winter date ideas are perfect for you and your best friend. This is a pretty diverse list and the activities range from eating an ice cream to volunteering at the animal shelter. While this list is written for teen girls in mind, the activities are enjoyable for guys and girls of all ages. By the way, have you checked out my other blog post: Best Ever Christmas Gift Ideas for Teenage Girls? You should if you haven’t. It’s pretty interesting. Check out the Winter Festival, if there’s one where you live. Read a book. Yes, outside. Enjoy a cup of hot chocolate in your living room while watching the snowfall outside. Play makeup — what style of makeup should you put on this Christmas?